Those who are loyal to Southwest Airlines will find that loyalty reciprocated when they become cardholders of the Southwest Rapid Rewards® Premier Business Credit Card. Cardholders enjoy benefits such as double points on any Southwest Airlines purchase as well as on purchases with Rapid Rewards® hotel and car rental partners. You’ll also earn one point for every $1 spent on your other purchases, but, let’s face it: You’re looking at an airline rewards card because your business requires traveling and you’re rightfully interested in earning rewards and enjoying perks for all that travel. With that in mind, other airline benefits include no baggage fees, no blackout dates, no seat restrictions and no change fees, plus – and this is big – this card provides a nice boost toward earning that all-important Southwest Companion Pass so that a companion of your choice can travel with you free-of-charge for the remainder of the year in which you earn the reward as well as for the entire calendar year after that. Your earning toward the Companion Pass gets started with a healthy welcome bonus. Open your account and spend $3,000 in the first three months to receive 60,000 bonus points – that’s more than halfway toward the 110,000 points you need to earn the Companion Pass. You will also receive 6,000 bonus points each year after your card anniversary. Though the Southwest Rapid Rewards® Premier Business Credit Card carries a $99 annual fee, the small business owner with plenty of Southwest Airlines travel on the agenda will find the rewards and perks should be plenty to offset that fee. The welcome bonus gets you more than halfway to earning a Southwest Companion Pass. Spend $3,000 in the first three months to earn 60,000 bonus points. Your bonus points don't end with the welcome bonus – each year after your card member anniversary you'll receive 6,000 bonus points. Earn double points for your purchases with Southwest Airlines as well as with Rapid Rewards® hotel and car rental partners. This card is all about loyalty. Sure, you earn rewards with Rapid Rewards® partners, but if you're looking for a wide open opportunity to earn bonus rewards and redeem those rewards, you'll want to look for a more general rewards card. What's not to love about the Southwest Rapid Rewards® Premier Business Credit Card? Let's go through those highlights with a bit more detail, starting with fact number one: You're a small business owner. Small business owners need to be prudent with spending and should relish any opportunity to put money back toward their business’ bottom line. This card allows for both by offering free employee cards, points earning on employee spending, and easy access to employees' statements so you can track monthly spending habits. These benefits allow you as the business owner to make the right decisions based on company need and not on company financials. If business travel is necessary, reap the rewards via the points you and your employees rack up. Fact number two: You're a loyal Southwest Airlines customer. As such, you'll not only earn points for future travel, you'll also be on the fast track to that Companion Pass, which, as mentioned above, allows the pass holder to travel with you free for one year (taxes and fees excluded). The 60,000 points you can earn as an intro bonus will put you on the fast track to earning that pass. The bonus points also stack nicely with your monthly spending, letting you sink them back into your business or use them to enhance your personal time. There are no foreign transaction fees, no change fees, no baggage fees, and best of all no blackout dates or expiration on all the points you earn. The Southwest Rapid Rewards® Premier Business Credit Card isn't for everyone. If you don't travel very often using Southwest Airlines or Rapid Rewards® hotel and car rental partners, many of the perks and bonuses could be out of reach. In that case, you might want to look for a card that doesn't have an annual fee or that offers cash-back rewards instead. You could also look for a more general travel rewards credit card, specifically one with more flexibility and less brand loyalty. The Southwest Rapid Rewards® Premier Business Credit Card and the Capital One® Spark® Miles for Business credit card both offer double rewards, but Chase's Southwest card only offers it on brand-loyal purchases, including the airline as well as those with hotel and car rental partners. Capital One offers the double rewards on every purchase. If you're in search of bonus rewards points: The Capital One® Spark® Miles for Business credit card has a one-time welcome offer of 50,000 bonus miles when you spend $4,500 in the first three months of opening your account. Southwest Rapid Rewards® Premier Business Credit Card welcomes you with 60,000 bonus points after you spend $3,000 in your first three months with the account. The Southwest points are worth differing amounts depending on when and where you travel. Neither card has expiration dates on rewards and both charge an annual fee. The Capital One card, however, does waive that fee for the first year. If you're loyal to Southwest Airlines, go with Chase; if you're just looking for the better deal and don't care about brands, go with Capital One. Both the Southwest Rapid Rewards® Premier Business Credit Card and American Express® Business Gold Card offer higher point earnings for travel purchases, but the American Express card definitely kicks it up a notch. 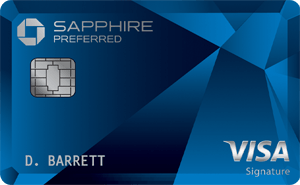 To start, the American Express® Business Gold Card offers new cardholders 35,000 Membership Rewards® points once spending $5,000 on eligible purchases within the first three months of card membership. It also offers 4x Membership Rewards® points on the two select categories where your business spends the most each month. (4X points apply to the first $150,000 in combined purchases from these 2 categories each calendar year.) You also get 25% points back after you use points for all or part of an eligible flight booked with Amex Travel, up to 250,000 points back per calendar year. Plus: up to 1 year free on a subscription to both G Suite Basic for up to 3 users and ZipRecruiter Standard, a combined value get up to $3,200. There is also a flexible payment option that can help manage cash flow on purchases of $100 or more. Access expense management tools: Connect to Quickbooks, access SpendManager℠, receive a Year-End Summary, and more. It all sounds great, and it is, but you also need to consider where your needs actually are. If you know you prefer to fly Southwest Airlines, you’ll benefit a great deal from the Southwest card and you’ll be paying a much lower annual fee to do it. 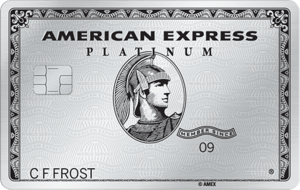 The annual fee is $295 for the American Express® Business Gold Card (Terms apply. See Rates and Fees). If, however, you're a big spender business owner who will max out those bonus categories each year, the American Express card could be the way to go. Both the Southwest Rapid Rewards® Premier Business Credit Card and the CitiBusiness® / AAdvantage® Platinum Select® World Mastercard® offer brand-specific bonus rewards, but the Citi card takes those bonus rewards a step further (Citi is a CardRatings advertiser). The Southwest Rapid Rewards® Premier Business Credit Card rewards card members with double points for every $1 spent with Southwest Airlines and with its Rapid Rewards® hotel and car rental partners. The CitiBusiness® / AAdvantage® Platinum Select® World Mastercard® offers double the miles on your American Airlines purchases, as well on your purchases with telecommunications merchants, cable and satellite providers, car rental merchants and at gas stations. With that in mind, if you’re looking for a bit more diversity with your rewards earning, the CitiBusiness® / AAdvantage® Platinum Select® World Mastercard® could be a better choice. The two cards have similar welcome offers: The Southwest Rapid Rewards® Premier Business Credit Card offers 60,000 bonus rewards points after spending $3,000 in the first three months of account opening. For a limited time, the CitiBusiness® / AAdvantage® Platinum Select® World Mastercard® offers 70,000 bonus miles after spending $4,000 in the first four months. The annual fees are the same, but CitiBusiness® / AAdvantage® Platinum Select® World Mastercard® waives the fee for the first 12 months (it’s $99 after that). Southwest Airlines, in general, doesn’t charge baggage fees, and the CitiBusiness® / AAdvantage® Platinum Select® World Mastercard® allows you and up to four traveling companions to check your first bags for free on domestic itineraries. With this comparison, it comes down to brand loyalty: Do you choose Southwest Airlines or American Airlines? The best applicant for the Southwest Rapid Rewards® Premier Business Credit Card is a person who travels using Southwest Airlines often and knows they will spend enough to earn that Companion Pass. If you are a frequent business traveler, or require employee business travel, you are also well-suited for this card. It won't take long to achieve the thresholds needed for some very attractive perks. Internationally or domestically, there are few fees and plenty of miles to earn.